In March I will be making Solar talismans. Accordingly, they will be very powerful, because the Sun will be highly dignified and such planetary configuration we have only twice a year. This is a talisman of the Sun made of 1000 sterling silver (100% pure silver). The dots are from 24 carat solid gold. Additionally, the stone is natural untreated unheated green/yellow PETRO TOURMALINE. The necklace of 2-3 mm natural peridots is included. The magic symbols and characters of the Sun will be engraved in the back/down side of the gem, so that they remain secret for the public eye. As a result, it will touch the skin. Even more, this talisman will be handmade and is a unique model from the collection of a famous Israeli jeweler. This is a talisman of the Sun made of 1000 sterling silver (100% pure silver) and solid 24 carat gold. The stone is natural untreated unheated very large and very rare IDOCRASE. The necklace of oxidized silver is included. This is a talisman of the Sun made of solid 24 carat gold and 1000 sterling silver (100% pure silver). This is a talisman of the Sun made of 1000 sterling silver (100% pure silver). The dots are of solid 24 carat gold. The stone is natural untreated unheated very large PETRO TOURMALINE. This is a talisman of the Sun made of 1000 sterling silver (100% pure silver). The dot is of solid 24 carat gold. The stone is natural untreated unheated large CITRINE. This is a talisman of the Sun made of 24 carat solid gold and 1000 sterling silver (100% pure silver). The stone is natural untreated unheated AAAA quality PERIDOT. This is a talisman of the Sun made 1000 sterling silver (100% pure silver). The dots are of 24 carat solid gold. The stone is natural untreated unheated raw GOLDEN BERYL. The stone is natural untreated unheated large PETRO TOURMALINE. The pendant arrives with a chain from oxidized silver. This is a talisman of the Sun made of 24 carat (100% gold without inclusions) solid gold and 18 carat solid gold for the hooks. The stone is natural untreated unheated very rear MANDARINE SPESARTINE GARNET. The earrings may appear larger than they are. This is a talisman of the Sun made of 1000 sterling silver (100% pure silver). The dot is from 24 carat solid gold. Additionally, the bigger stone is natural untreated unheated yellow PETRO TOURMALINE. The second stone is surrounded by 24 carat solid gold and is natural CITRINE. This is a talisman of the Sun made of 1000 sterling silver (100% pure silver). Additionally, the stone is natural untreated unheated green/yellow TOURMALINE. When the Sun was highly dignifies I followed THESE rules and created Solar talismans. The Sun on that day was very powerful, highly dignified as such planetary configuration we have only once to twice a year. This is a talisman of the Sun made of 18 carat gold and sterling silver. 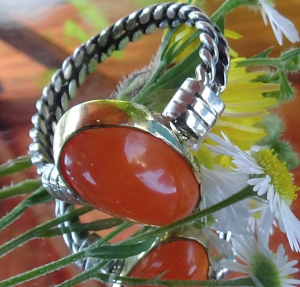 Additionally, the stone is natural untreated unheated ORANGE CARNELIAN from the Bulgarian Rodhopy mountains. Even more, this talisman will be handmade and is a unique model from the Roman replica collection of a famous Bulgarian jeweler. The gem is a natural Chinese rutile quartz (Venus’s hairs). Actually, every gemstone is unique, so the colors can slightly vary from what you see on the picture. Moreover, the magic symbols and characters of Venus and Jupiter will be engraved in the back/down side of the gem, so that they remain secret for the public eye, but will touch the finger. Even more, this ring will be handmade and is a unique model from the collection of a famous Bulgarian jeweler. This is a very large talisman of the Sun made of sterling silver. 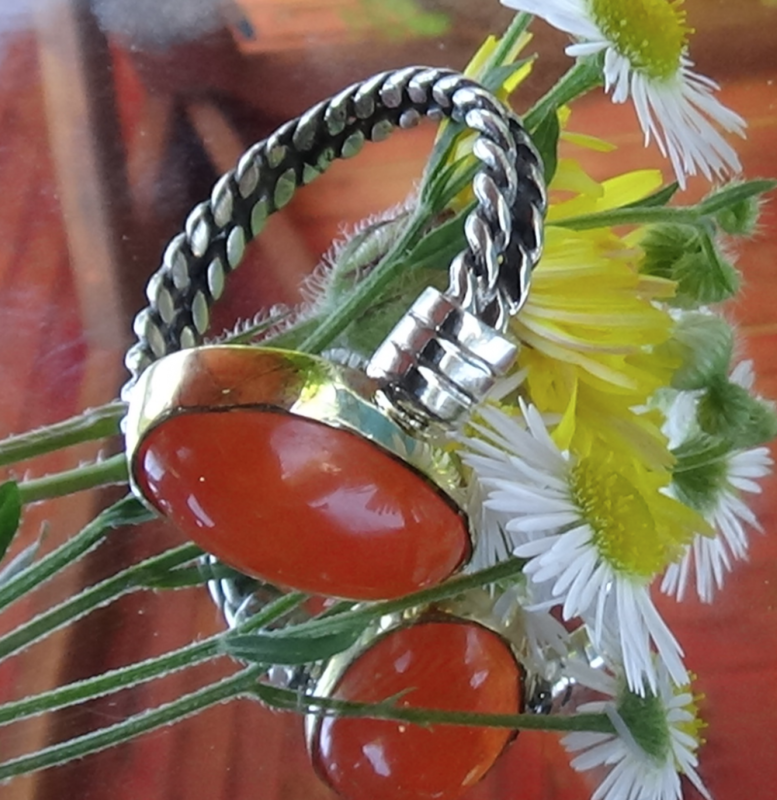 The stone is natural Russian RED AMBER. Moreover, every gemstone is unique, so the colors can slightly vary from what you see on the picture. Even more, the magic symbols and characters of the Sun will be engraved in the back/down side of the gem, so that they remain secret for the public eye. As a result, it will touch the skin. Additionally, this talisman is handmade.